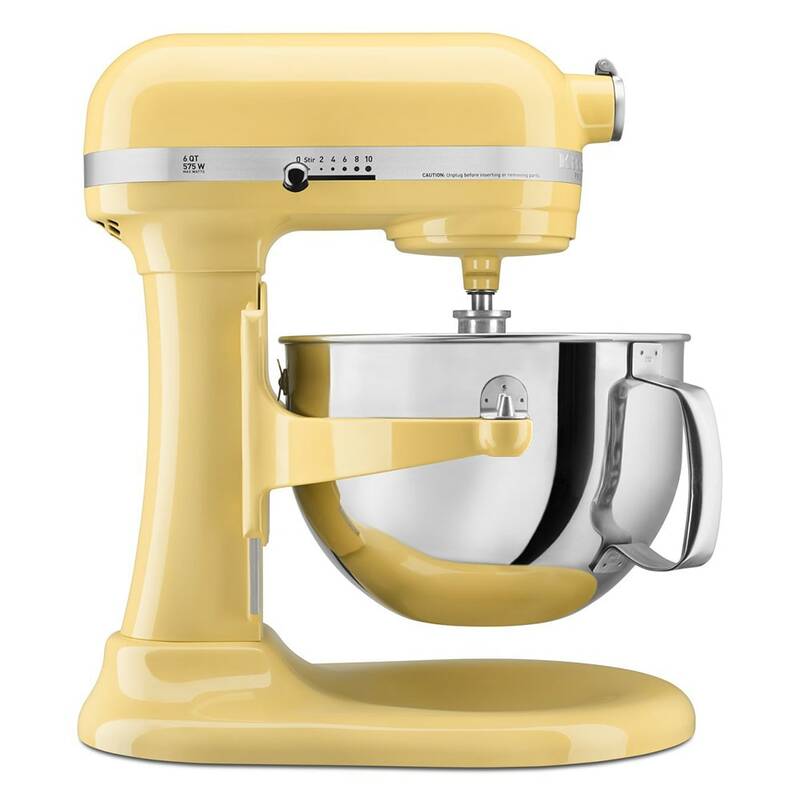 The Majestic Yellow model from KitchenAid's Professional 600 series comes with a 6-quart stainless steel bowl and a manual bowl lift, operated by a rotating handle. 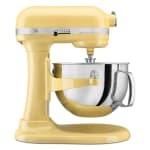 The powerful 575-watt motor uses a soft start for each of the 10 mixing speeds to prevent messes, and the 1-piece pour shield also prevents food from splashing out. The planetary-style mixing has 67 touchpoints to ensure all ingredients are mixed, with little bowl-scraping needed. Professional 600 series with pouring shield, 6 qt. polished stainless steel bowl with comfortable handle, burnished flat beater, burnished PowerKnead spiral dough hook and wire whip, pouring shield, stain nickel hinged hug cover, commercial auto reset, comfort bowl lift handle, 120v/60/1ph, Majestic Yellow. Warranty not valid when used in commercial environment such as a bar or restaurant.